What is Beauty Light Therapy? Beauty Light Therapy is a device that emits Red, Green and Blue light at different wavelengths. The combination of these three beneficial light sources rejuvenate, smooth and detoxifies the skin. This scientifically proven light therapy device ensures to give you a healthier and younger looking appearance. Is Beauty Light Therapy the same as LED light treatment? No, the light of the Beauty Light Therapy contains more energy and is, therefore, stronger than LED lights. Every lamp has a 200 Watt output, resulting in 9600 Watt in total, whereas a single LED has 1-5 Watt on average. Therefore, the light of the lamps can penetrate the skin and rejuvenate it, resulting in a full body treatment. LED lights, on the other hand, are only effective on a small body part. What is the difference between the Dr. Müller Beauty Light Therapy device and laser therapy? The Dr. Müller Beauty Light Therapy treats the entire body, where laser therapy only focuses on a small body part. Beauty Light Therapy will give you a wellness feeling while your skin gets a full rejuvenation, smoothing and detoxifying treatment. Also, Beauty Light Therapy is surgery- and pain-free. Is the Dr. Müller Beauty Light Therapy more effective than creams? 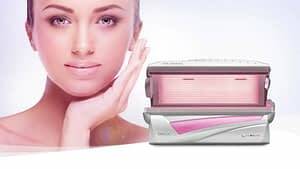 The lights Beauty Light Therapy penetrate deep into the skin – it reaches the dermis layer of the skin – stimulating cells to produce collagen, discard waste and kill bacteria. Creams stay at the epidermis layer of the skin and are therefore unable to rejuvenate the skin itself. This also goes for the brightening, anti-pigment effect in the bottom layer of the epidermis. Nevertheless, to enhance the results of the devices, we recommend using the Dr. Müller Collagenic Bodylift Elixir after a session. Does the Beauty Light Therapy change hair colour? No, the Beauty Light Therapy device does not change hair colour. The device will only make your skin brighter and more evenly toned. Your hair colour may normally change due to exposure to ultraviolet light, for example, blond hair becoming lighter during the summer months. On top of that, the Dr. Müller light therapy devices are UV-Free. Is the Beauty Light Therapy suitable for everyone? Beauty Light Therapy sessions are harmless and are suitable for all skin types. People with low blood pressure, who are pregnant, have epilepsy, or have an increased light sensitivity, or are on medication that causes increased light sensitivity (e.g., antibiotics or St. John’s Wort) should, however, refrain from using the device. Is a session the Beauty Light Therapy safe? Yes, you can step in a Beauty Light Therapy device without any concern. A session in the device is safe for the eyes, face and entire body. The Dr. Müller Beauty Light Therapy emits red, green and blue light, which have wavelengths way above the UV spectrum. It is on the same gamut as natural daylight. Can I turn the VibraPlate off? When you step in a Beauty Light Therapy device, the VibraPlate is standard not activated. The user decides to turn it on and chooses the intensity, duration or one of the pre-set training programs. Can I use the VibraPlate when I have an Intrauterine device (IUD)? You can enjoy a Beauty Light Therapy session without any problem. However, we advise consulting a doctor about this before you activate the VibraPlate during a session. The Dr. Müller Beauty Light Therapy, as well as the Collagenic Machines, are a one of a kind light therapy treatments. The prices for the devices depends on additional features, transport costs local costs and other charges. The prices for customers vary in beauty salons, spas and gyms. For more information about prices contact us. What is the temperature during a session? The temperature depends on the surrounding room temperature and air circulation/ventilation options in the room. Once you have turned on the device, the lamps warm up between 30 to 36 degrees Celsius. Are the Dr. Müller Collagenic Machines more effective than creams? The lights of these devices penetrate deep into the skin – it reaches the dermis layer of the skin – stimulating cells to produce collagen from the inside. Creams stay at the epidermis layer of the skin and are therefore unable to rejuvenate the skin itself. This also goes for the brightening, anti-pigment effect in the bottom layer of the epidermis. Nevertheless, to enhance the results of the devices, we recommend using the Dr. Müller Collagenic Bodylift Elixir after a session. Do the Collagenic Machines change hair colour? No, the Collagenic devices do not change hair colour. The device will only make your skin brighter and more evenly toned. Your hair colour may normally change due to exposure to ultraviolet light, for example, blond hair becoming lighter during the summer months. Nevertheless, the Collagenic machines are UV-Free. Is a Collagenic session suitable for everyone? The Collagenic Light sessions are harmless and are suitable for all skin types. People with low blood pressure, who are pregnant, have epilepsy, or have an increased light sensitivity, or are on medication that causes increased light sensitivity (e.g. antibiotics or St. John’s Wort) should, however, refrain from the therapy. Are the Collagenic Machines the same as LED light treatment? No, the light of the Collagenic Machines contain more energy and is, therefore, stronger than LED lights. Every lamp has an output between 120 and 200 Watt, whereas a single LED has between 1 and 5 Watt on average. Therefore, the light of the lamps can penetrate the skin and rejuvenate it, resulting in a full body treatment. LED lights, on the other hand, are only effective on a small body part. Red Light Therapy is a technology that has both cosmetic and healing properties. The word ‘healing’ is defined as ‘the natural process by which the body repairs itself.’ That is exactly what happens when the body is exposed to red light or Collagen wavelengths. Red Light emits wavelengths between 630-660 nm (nanometres) and can penetrate deep into the layer of the skin, energising the fibroblast cells that make collagen and elastin. This is how the skin repairs damages and rejuvenates itself. The visible benefits of red light therapy, such as reduced wrinkles and firmer skin may seem like just a cosmetic enhancement, but it’s actually the result of your body healing itself. Red Light targets and treats the entire face and body because the treatment is done in a full-sized bed or stand-up. Because red light wavelengths increase collagen production, this type of red light is also called Collagenic Light. Where did red light technology come from? NASA first developed this technology to grow plants in space, and later to treat wounds in space. Today Red Light Therapy is being used throughout the medical field to heal patients, and used in salons around the world to rejuvenate the skin. NASA is currently conducting research with red light to treat cancer patients; their results state: That the light therapy sessions don’t cause any harm to the patients. Thus, Collagenic Light is safe and pain-free; in fact, clients come away feeling great after a session. What causes my skin to age? Fibroblast cells are found in the dermis layer of the skin and are responsible for producing collagen. Due to extensive sun exposure, stress, and through the normal ageing processes, fibroblasts cells slow their collagen production. Thus, due to all these factors, the quality of collagen is lessened, leading to wrinkles and loose skin. Like red and blue light, green light is a light wavelength that decreases the production of melanin in the skin. As a result, those who want a brighter appearance could use green light to reduce pigmentation and other related blemishes, such as brown spots or freckles. Green Light also known as Bright Skin Light emits wavelengths at 532 nm (nanometres) and targets melanin-producing cells located in the bottom layer of the skin’s epidermis. The Bright Skin Light breaks down particles of melanin into smaller parts leaving the hyperpigmentation spots looking speckled. The body recognises these small melanin particles as waste and discards them. Where did green light technology come from? NASA first developed this technology to grow plants in space, and later to treat wounds in space. Today many people in the medical and beauty field use Red, Green and Blue Light to heal patients, and use in centres around the world to rejuvenate, smooth and detoxify the skin. Thus, the Dr. Müller lamps – Collagenic Light, Bright Skin Light and Blue Light – are safe and pain-free; in fact, clients come away feeling great after a session. What do I have dark areas on my skin? Unwanted pigmentation problems, such as dark areas and freckles, have many causes and can occur in all skin types. The overproduction of pigmentation, also known as melanin may be the cause of these skin related issues. The visible light wavelengths that appear blue to the human eye are called blue bight. Like red and green light, blue light has many benefits. In some people, the skin increases the production of sebum, which has to do with an imbalance in hormones. As a result, it triggers the creation of acne and other skin blemishes. The Dr. Müller Blue Light reduces the production of sebum and kills the bacteria causing the infections. Giving you a clear and calm skin. Where did blue light technology come from? What do I have so many acne and blackheads? An imbalance in hormones level can lead to the overproduction of an oily substance called sebum. Due to this, sebum and dead skin cells can lead to blocked pores , which means acne and blackheads. Do I have to prepare my skin before taking a Collagenic session? For the best results, your skin should be thoroughly washed and cleansed, before enjoying a Collagenic session. In this way, the light will not be blocked by any particles which can reflect the red light. It is not necessary to use a lotion, but it is preferable to keep your skin smooth. 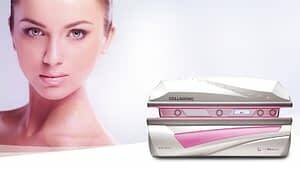 Do I need to use any creams in combination with a Dr. Müller Collagenic Machine? This is not necessary. However, to enhance the results, we advise using the Dr. Müller Bodylift Elixir after a light therapy session. The Elixir is a non-greasy formula with a light fragrance enriched with Hawaiian Kukui Nut Oil, which moisturises, relaxes and renews your skin leaving you tightened, leaving it velvety soft and rejuvenated. Do I need to wear eye protection during a Collagenic session? As the light emitted by the lamps in the Collagenic devices are harmless to your skin and eyes, it is not mandatory to wear them. However, for comfort purposes, we advise using the goggle that comes with your device. Do I have to remove my makeup before a session? 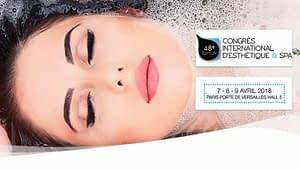 Yes, it is advised to take off your makeup in advance. This will help your skin to absorb the lights better. Our advice is to complete the starter program of 3 sessions per week for 10 to 12 consecutive weeks. After the starter program, a minimum of 1 session per week is necessary to maintain the results. What is the maximum time per session? There is no maximum session time, as the light is harmless to your skin. However, based on scientific research you can see results during a treatment period of 12 minutes. Can I do more than three sessions per week? Yes, however, three times per week is the advised amount. Can I take a shower after a session? Yes, this will not affect the results in any way. Can I enjoy a sunbath during the treatment period? Yes. Every human being needs sunlight, we humans, evolved due to sunlight and it is the basis of life on earth. Therefore, we advise getting a healthy dose of sunlight to receive Vitamin D.
Can I use the Collagenic Machines if I have sensitive skin? In general yes, however, if you have a severe skin condition(s), we advise consulting your doctor/dermatologist first before enjoying a session. Can I use the Collagenic Machines if I am pregnant and/or breastfeeding? Due to the temperature, we advise not to take a session during pregnancy and/or during breastfeeding. Nevertheless, the light itself does not affect your unborn baby. Can I use the Collagenic Machines if I have a pacemaker? Please consult with a physician before starting any treatment. Can I use a Collagenic Machine if I have low blood pressure? Yes. However, if you have low blood pressure, we advise to eat healthily and drink enough water (at least 0,5 litre) 30 minutes before the session. However, if you do not feel well before a session, we advise you to postpone the session. What are the benefits of Collagenic Light Therapy? Based on research, a Collagenic Light Therapy can improve skin tone and texture, reduce pigmentation spots, help reduce pore size, encourage vibrant and healthy looking skin, and reduce fine lines and wrinkles. The red light also stimulates blood circulation and repairs elastin fibres in the tissue to help maintain and improve the skin’s firmness. Furthermore, red light sessions increase oxygenation and detoxification of the skin. Therefore Collagenic Light can rejuvenate the skin to give you a younger appearance. And also, it increases the body’s natural skin renewal process. Click here if you would like more about the benefits of Collagenic Light. Have the benefits of Collagenic Light been proven? Yes, doctors from Korea, Germany, USA and Japan have studied the three different types of light. For all the scientific research about Collagenic light, please click here. Why did my skin become red after the first session? Due to the warm temperature during a session, your blood will rush to the surface of your skin, just as when you exercise. After a couple of minutes, the redness goes away as the body cools down again. What are the results after one session? You might feel the skin around your face become more tight and soft. When will I see any results? The results after the starter program will last between 30-90 days, depending on your lifestyle and the initial state of your skin. Therefore, it is important to start with the Collagenic maintenance program, which is once a week after you complete the starter program. Do the Collagenic machines have any adverse side effects? There are no known adverse side effects. Your skin is as individual as you are. Therefore, it is possible that you may have concerns about using the Dr. Müller light therapy devices. 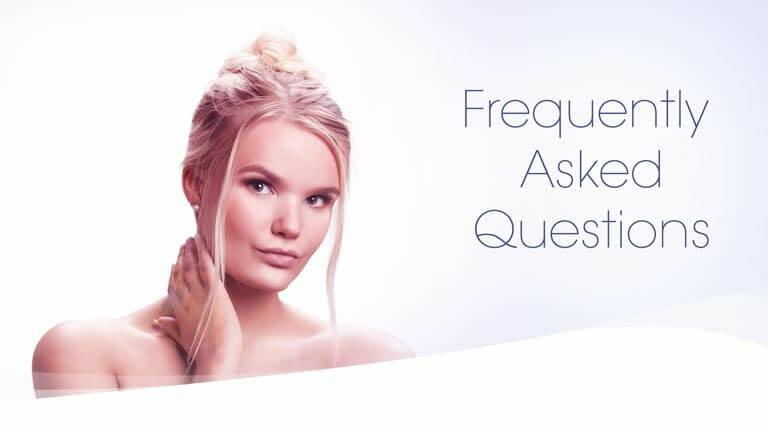 Do not worry, if your question is not on the FAQ list you can contact us and we will gladly answer all of your questions. Dr. Müller is a renowned manufacturer of innovative Collagenic and Beauty Light Therapy devices. The Dr. Müller product range includes light therapy devices that emit red, green and blue light. These lights help the skin to increase its production of collagen and elastin, rejuvenate, smooth and brighten the skin. 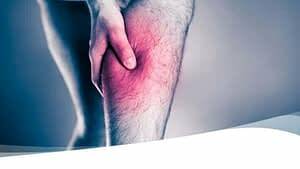 How Does Red Light Therapy Improve Muscle Function? Subscribe to our newsletter and stay up-to-date with the latest beauty trends, light research and Dr. Müller news. © 1974 - 2019 Dr. Müller is a registered trademark of Ultrasun International B.V.